The popular local restaurant Cafe Smitten has partnered with a Pie Hole LA to bring another tasty treat to their menu! BAKERSFIELD, Calif. — The popular local restaurant Cafe Smitten has added a new dessert option to their menu! 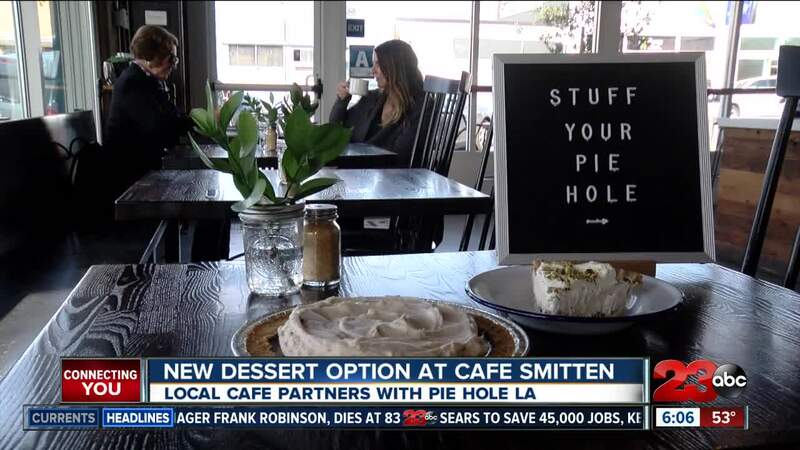 Cafe Smitten has partnered up with a popular desert spot from the Los Angeles area, called the Pie Hole! The Pie Hole has several locations with many of them in Los Angeles and the surrounding areas. They offer sweet and savory pies along with other baked items and Cafe Smitten is excited to bring this dessert option to Bakersfield. Cafe Smitten is located at 909 18th Street.